Markets are not logical. They use data to inform their decisions, but if informed decisions were the primary rationale behind all market movement, the massive 2008 housing crisis would have been foreseen by more than just a handful of people who refused to stick their heads in the sand. The truth is that humans are extremely prone to groupthink, and therefore, so are markets. The stock market operates based on various assumptions, and one of them was shattered during Facebook’s disastrous 2nd quarter earnings call this week. That’s not to say there isn’t good logic behind this crash. In fact, there’s plenty. Not only did Facebook miss its revenue target for this last quarter, but they warned that they expected low growth in the 3rd and 4th quarters of this year. Facebook’s operating margin fell from 44% in the 1st quarter to the mid-30s this past quarter, as they are embarking on a spending spree this year, with capital expenditures increasing from $6.7 billion to $15 billion. Lastly, and perhaps most worrisome, was that Facebook’s daily active users decreased 11% year over year. However, tech companies being unable to make money is nothing new. Hell, Twitter somehow still exists despite the fact that they have operated in the red for most of their existence. What this crash symbolizes is a changing of expectations. Facebook lost $120 billion in value in a day. The market erased an entire year’s worth of growth over roughly a 10% fall from where Facebook was last year. That means that a big part of the crash was simply the shifting expectations of the market. Facebook is the 800-pound gorilla in social media. In pure size and scope, it has no peers. In some countries, Facebook practically is the internet. It is not going away anytime soon, but its veneer of invincibility has been chipped away this year. First it was the disastrous Cambridge Analytica investigation—where Channel 4 revealed that Facebook allowed the sketchy data firm involved in both Trump’s election and Brexit to collect data on millions of unsuspecting users. Next it was their complicity in the genocide of the Rohingya in Myanmar. This all led to a wider conversation throughout tech about ownership of our data and the moral responsibilities of these massive platforms. It’s an unassailable fact that public opinion is shifting away from the business model of Facebook: provide a service for free because the data we willingly provide on ourselves is literal currency. We have come to understand our own power in this new world of software. 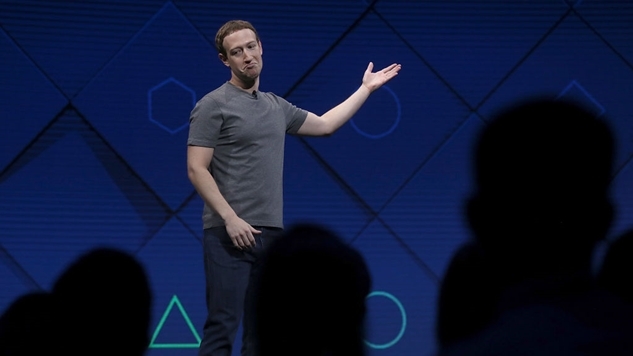 Facebook is in trouble, but part of this crash seems to be them reconciling with that fact. They’re spending a bunch of money to upgrade their infrastructure and plan new initiatives, which is a big part of the reason that they expect to make less money this year. That said, declining daily active users tells a big, big story. That’s the most important metric for any site, given how many people sign up for things once and never use them (this is probably why roughly 90% of gyms are still in business). Facebook is less popular than we have come to perceive them by almost any metric you look at, and the stock market is resetting its expectations based on this indisputable new reality.